Take a 30 minute sermon shared about a month ago which focussed on the two great characteristics of Jesus: “Grace and Truth”, and later present it as an eleven minute sermonette. And then, if that’s not enough, distill it even further to just four minutes! Trust you’re blessed with this shorter version but by no means any less important. Occasionally I am asked the reasons why I wrote “Hope of the Resurrection”. Others enquire in particular about the nuances of the second resurrection. The scriptures are quite clear about those who reject Christ, in Jesus’ day and in ours. (I had originally intended, with the editing of the 3rd edition, to write an entire chapter about hell, but decided that there was already sufficient in the book about this subject. Besides, an entire chapter on hell somewhat detracts from the overall “hope” value). I trust that my book “Hope of the Resurrection” does not make any claims or implications that can be construed as un-Biblical. I do not believe in second-chance theology. Thanks for the opportunity to clarify this. Perhaps in a future edition and printing, I will continue to further develop any passages that may not be as clear as they ought. Thanks for your grace in this. With regard to any possible hope outcome in the second resurrection, I like the dichotomy of “near-certainty versus mere possibility”. Many of us are somewhere between the two. On the other end of the spectrum, however, are those who believe in total annihilation of all at the second resurrection, regardless of whether they’ve ever heard the truth or not. This view is somewhat hard to reconcile with the Biblical text that discusses righteous judgment. (John 5:30) It is also hard to reconcile with a loving, merciful God who paid in total the sins of this world. Thus, I believe there can be a range of “peripheral” understandings of what many regard as somewhat “unclear”. This is where our patience and grace ought to come to the fore. Please note that I always refrain from preaching about these “peripheral” things from the pulpit – knowing that in the fullness of time we’ll all understand! 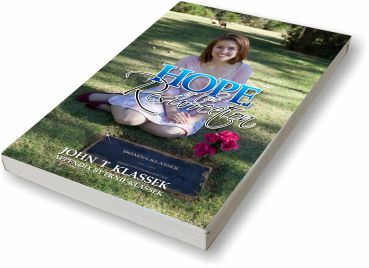 I felt inspired to write “Hope of the Resurrection” after visiting several Christian bookstores, and seeing numerous titles, such as “To Heaven and Back”, “Ninety Minutes in Heaven”, and “Heaven is for Real”. Conspicuous by its absence, I found that there were no equal books that discussed the resurrection hope in Christ. (I have since discovered NT Wright’s book “Surprised by Hope” that also emphasises a Biblical resurrection hope). But, largely, books on Heaven vastly outnumber those on Resurrection. My book’s original intended audience was simply for the “man on the street” – folk who may have casually heard about God, and who may be seeking answers following the loss of a loved one. The book has already been read by many thousands of people since it was first published in 2010, and I am delighted to constantly receive very positive responses from people whose lives have been significantly helped. Again, the subject of the resurrection is central to everything we believe and everything we’re becoming.